On April 2, a Pune-Nagpur flight of IndiGo -- an Airbus A320 Neo -- was grounded soon after take-off due to "excessive engine vibrations"
The Delhi High Court Friday sought responses of the Centre and the Directorate General of Civil Aviation (DGCA) on a plea seeking grounding of all Airbus 320 Neo aircraft fitted with the troubled Pratt and Whitney engines. 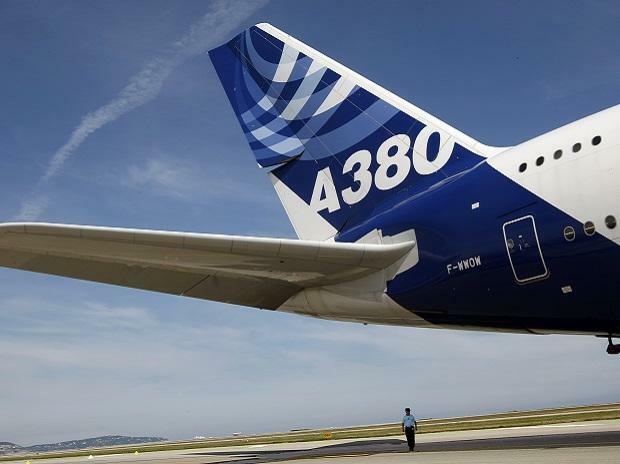 A bench of Chief Justice Rajendra Menon and Justice A J Bhambhani asked the DGCA and the Ministry of Civil Aviation to indicate their stand on the issue by August 8, saying there have been several instances recently of problems with Airbus Neo 320 planes flying on this specific engine. On April 2, a Pune-Nagpur flight of IndiGo -- an Airbus A320 Neo -- was grounded soon after take-off due to "excessive engine vibrations". This, according to industry sources, was the sixth such incident in the past two weeks. In the application, moved before the high court by former director of Flight Safety of Indian Airlines Captain S S Panesar, it has been contended that the Airbus aircraft fitted with the Pratt and Whitney (P&W) engines are not 100 per cent safe. P&W is an American aerospace aircraft engines manufacturer. He has claimed that P&W and DGCA have advised airlines not to put two such engines on their aircraft and to substitute one with some other engine. Apart from that, it has also been advised that the A-320 Neo fitted with P&W engines not be flown over high seas and instead they should take a route which has an airport within 100 miles range, the application has alleged. Another suggestion is "not to fly the aircraft (A-320 Neo) above 30,000 feet because of low density of air", Panesar has claimed in his application seeking grounding of these planes. He has alleged that the DGCA, ministry and the airlines operating these aircraft -- Indigo and GoAir -- fitted with P&W engines "are not ignorant" about the issue, but they are "ignoring" it and "exposing the passengers to gravest danger". The application has sought grounding of the aircraft fitted with P&W engines till the manufacturer comes out with a modification to make them "error free". The application was filed in the main petition by Yeshwanth Shenoy, a lawyer, seeking removal of high-rise buildings from around the Indira Gandhi International (IGI) Airport on the ground that such structures are obstacles for aircraft taking off and landing at the aviation hub. Shenoy had in March last year sought grounding of all the A-320 Neo aircraft till DGCA certifies that they are all safe to fly. His application was disposed of after DGCA assured the court that only those A-320 Neo aircraft which are safe to fly would be allowed to operate.